2018 Dream Big Registration now open! This year marks the second year of Starkloff Disability Institute’s successful Dream Big Program. 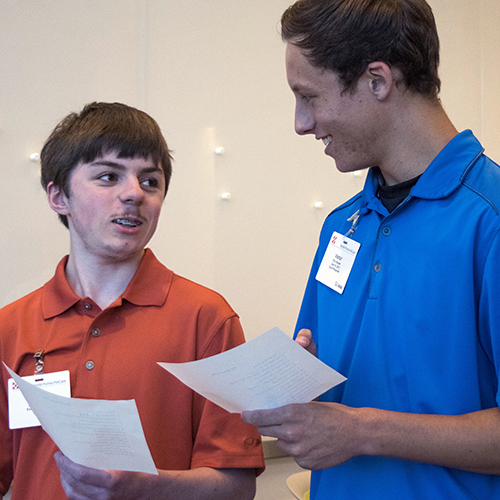 This new day camp-style program inspires college and career-bound high school students with disabilities to explore different career paths, understand the steps necessary to successfully live independently and prepare for college. “The idea for DREAM BIG is very timely,” Colleen Starkloff, cofounder of SDI says. “Companies and corporations are now, more than ever before, seeking to increase their disability hiring. But youth with disabilities don’t know this, nor are they aware of the vast opportunities for successful careers that await them in corporate America. All of this is part of Dream Big: Collaboration with school districts, youth, parents and corporations. The Starkloff Disability Institute will make this happen. Enrollment for all three of these Career Camps is now open. Register quickly!